Switch workspaces using mouse scroll at screen edges. Extension for Cinnamon desktop environment developed by Linux Mint. It can be found at Cinnamon Spices page and installed via Cinnamon extensions manager. Extension enables you to quickly switch between workspaces. This is an alternative to Desktop Scroller but more customizable. Also it has no visual indication. I like this extension, because it can assign scroll action to top and bottom edges. 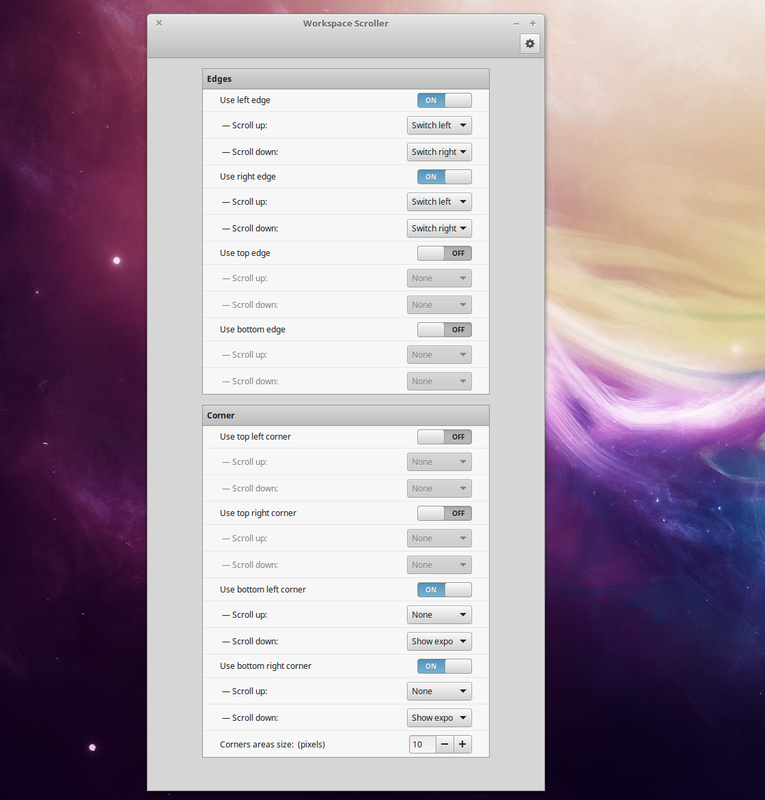 But the extension cannot scroll between first and last workspaces (Desktop Scroller can do it).